There are few things in life that make a book lover happier than talking about books with other book lovers. 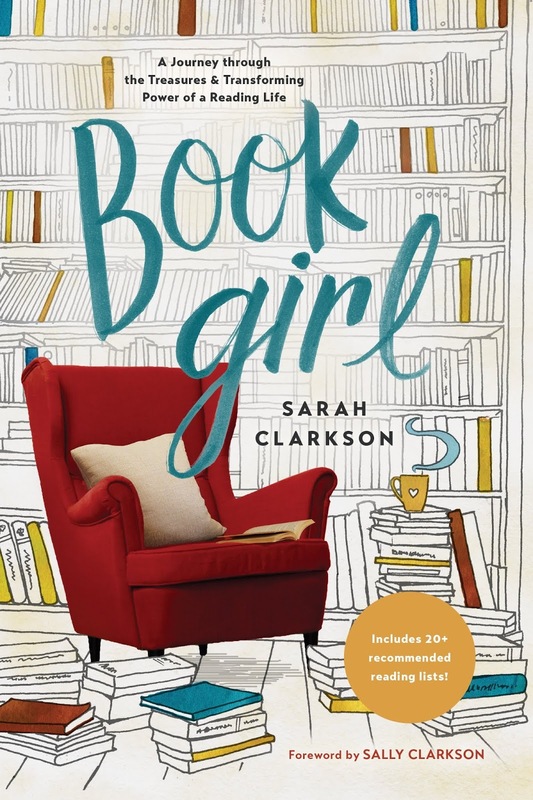 Sarah Clarkson's new book, Book Girl, feels like a great conversation about beloved books. Book Girl is divided into themed chapters full of lists of Sarah's favorite books and why she loves them. I loved reading about some of my own favorite books, and my TBR list is now much longer thanks to her recommendations. Whether you're already an avid reader, a former bookworm trying to find your reading groove again, or someone who wants to be a reader but doesn't know where to start, this is the perfect book for you. When I first heard about Book Girl, I was excited. Over the past two years, my reading habits have gone through a lot of changes, and I've been looking for direction. I've been a mystery fan since elementary school, when I first discovered Nancy Drew, Trixie Beldon, and the Three Investigators. But recently, I've made an effort to branch out more. First it was women's fiction. Then I started reading (or rereading) more classics. I've added more historical and split-time authors to my reading list. I also find myself listening to more and more audiobooks. My taste in books has become very broad. This was exactly the resource I needed to help me. Book Girl is a great guide for new readers or lifelong readers who want to branch out. This is a great book to read straight through. It's also a great book to pick and choose chapters from, depending on what you're looking for. My first reading definitely will not be my last. This is a resource I'll return to again and again for years to come. I received a free copy of this book in exchange for an honest review. All opinions are my own. Patience isn't my strong point. When there's a problem, I want it fixed yesterday. When I decide I need to get something, I want to drop everything and go get it right away. When I dream about something, I want to start taking concrete steps towards it immediately. I want a step-by-step plan and a bulleted checklist, and I'm ready to start on it right away, thank you very much. Not all dreams come true right away, though. Dreams often make us wait, and sometimes dreams turn into hard seasons of waiting. Waiting for direction, for answers, for things out of our control to fall into place. Waiting, knowing that a hard road lies ahead. Waiting, knowing that your hopes and dreams may not be realized. Waiting can mean days, weeks, months of praying feeling as if your prayers never reach past the ceiling. It means you sometimes wonder why God is silent, if He's still listening, if He still cares. Life is full of hard seasons of waiting. The great heroes of the Bible weren't immune to long seasons of waiting, either. Abraham and Sarah waited years for their promised son. They aged well past their child-bearing years. Sarah's heart must have ached at the emptiness of her womb and her arms. She must have mourned as she watched women all around her become mothers, but her own dreams waited. At some point, she gave up, realizing her dream must have passed her by. But God wasn't done. Long after all hope seemed lost, Sarah gave birth to her miracle baby. David, the least of his brothers, was anointed king over Israel. But as soon as it happened, he was back to tending his father's sheep. Nothing changed. As the years crept by, David must have wondered if his time would ever come. Life got harder and harder. David lost friends. He ran for his life on multiple occasions. God seemed silent. Until finally, almost fifteen years after he was anointed as the next king of Israel, David took his throne. God's people waited a very long time for the promised Messiah. From Adam and Eve's first sin, God promised a coming Messiah, One who would defeat the enemy once and for all. Generation after generation passed as humanity cried out for their Deliverer. How many people must have wondered when He would come? How many must have wondered if the promises were still coming or of God had given up on His people? Until one night, in a stable in Bethlehem, the promised Messiah was born, and the world changed forever. And even today, God's people wait for His promised return. We wait for Him to take us to our forever home with Him, for Him to make all things right and perfect once and for all. We watch, helpless, as sin abounds, growing deeper and darker with every passing day. We watch pain and headache multiply. We see innocent people suffering. Sometimes we wonder if God still sees, if His promise to return is still true. We wait. But we can wait with hope, because His promises are true. His time may not be our time, but He will never turn back on His Word. We can hold onto 2 Peter 3:9: "The Lord is not slow about His promise, as some count slowness, but patient toward you, not wishing for any to perish but for all to come to repentance." 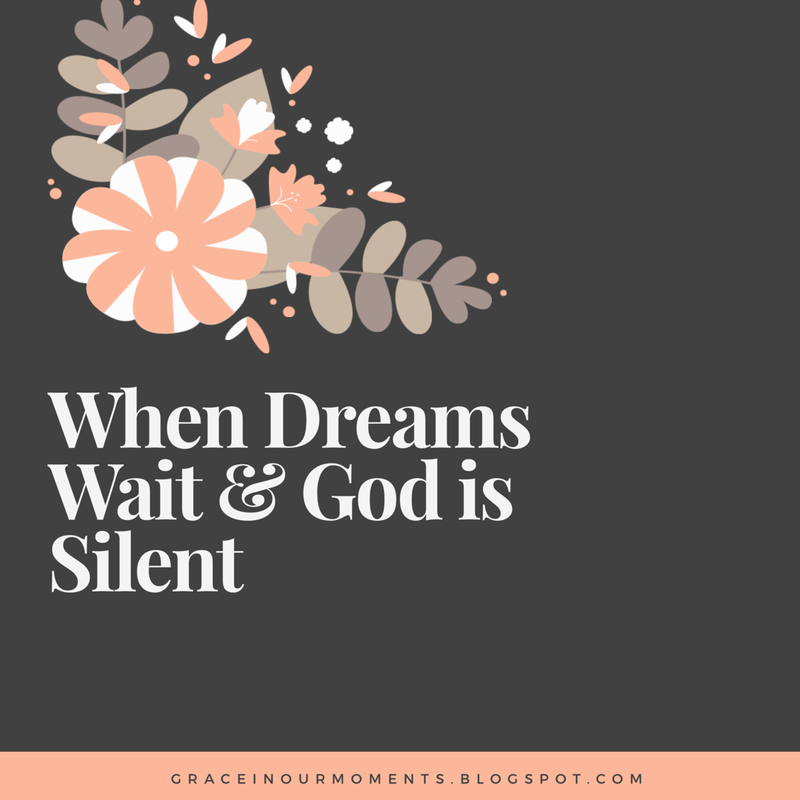 When our dreams become seasons of waiting, we can wait with hope in Him. 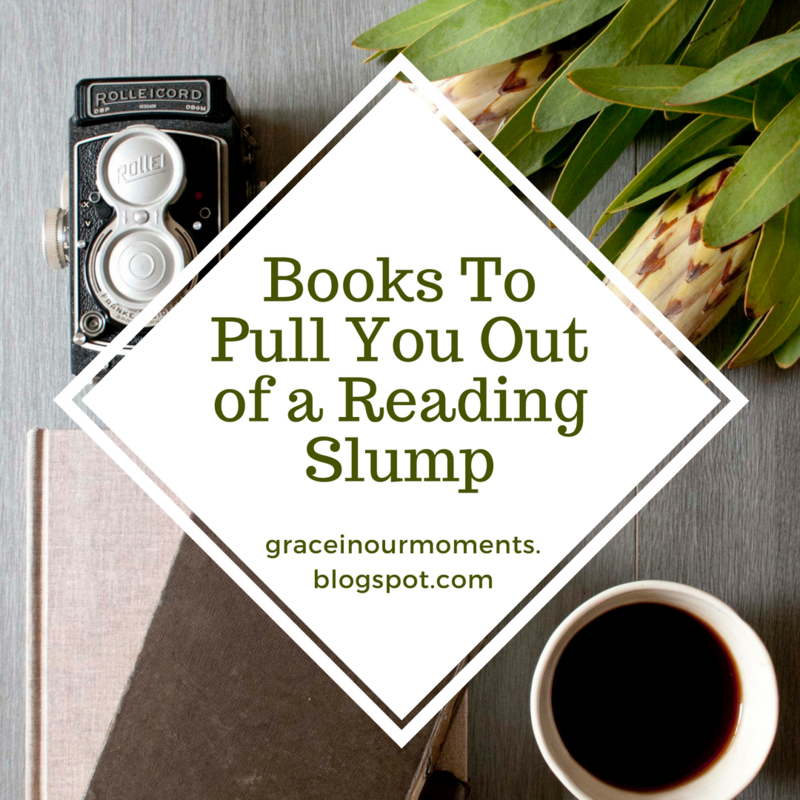 Sometimes even an avid readers hits a reading slump. 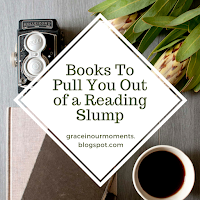 What pulls me out of a reading slump? A book I can't put down. A trilogy that leaves me hanging on for more at the end of each book. I can't say enough about these books. 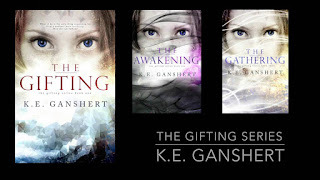 This is the best dystopian trilogy I've read since The Hunger Games--and that's high praise coming from someone who loved The Hunger Games as much as I did. The story is non-stop. The events are eerily similar to things that are playing out in the real world today. Everyone was talking about these books for months! Everywhere I went, I heard about them. It had been years since I read a Terri Blackstock book, but I finally checked out the first book from our local library. All I can say is, I'm glad I waited until the final book was out to start these, because once I started, I didn't want to stop. The final book of the series, Thirst of Steel, just released. I read it through tears. What an ending! 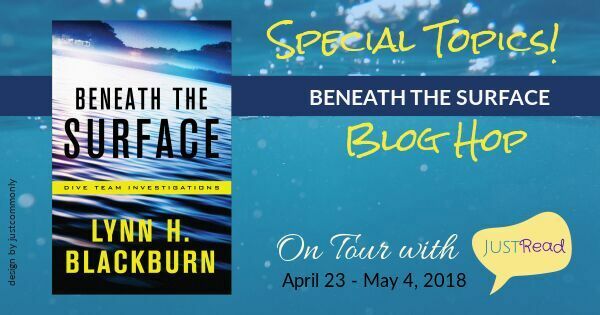 This series is military fiction meets Indiana Jones, and I couldn't put it down! When this series first released, a new installment came out once a week, like a serial novel. The only problem: I was in the middle of a major project at church, and all I wanted to do was read! I was sneaking in reading time during every spare moment because I couldn't get enough. 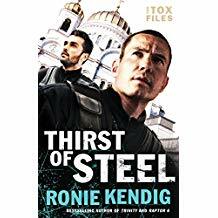 This series got me hooked on Ronie Kendig's books. I usually post about - and usually read - Christian fiction, but I'm including this series for two reasons. First, it pulled me out of a major reading slump. When I returned to college in 2010, my reading time vanished. Balancing school with family, work, and life left no time for fun reading. When I graduated in 2013, I struggled to get back into reading. Nothing seemed to grab my interest anymore, until I read The Hunger Games. Second, this series is so clean. One of the reasons I made an exception and read a non-Christian series was because friends with similar reading taste told me it was super clean. It's violent, but I love mysteries, so that doesn't bother me. One last tip for a reader who finds yourself in a slump...read a different genre. One reason The Hunger Games struck such a chord with me is that it was a totally new genre. I'd never heard of dystopian fiction until the series became popular. I'm a huge mystery/suspense fan, but I needed something different to break my slump. The action of a dystopian novel, combined with a very different storyline than I was used to, was exactly what I needed. Dystopian is now among my favorite genres. I'm excited about linking up this week for Top Ten Tuesday! This is my first time to join in, and I look forward to "meeting" other book bloggers. This summer has been full of changes for our family. A few weeks ago, my oldest turned sixteen, got his first job, and got his driver's license--all within ten days! Now he's working plus studying for his college entrance exams. He will start dual credit college classes this fall. My youngest went to camp in July and turned thirteen, so I'm now officially the mom of two teenagers. Add in lots of church activities and it's been a busy summer. The Reckoning at Gossamer Pond by Jaime Jo Wright - I started this year off by reading Jaime's first book, The House on Foster Hill. I loved it so much I joined her launch team for her second book. The Reckoning at Gossamer Pond is just as good as her previous book! 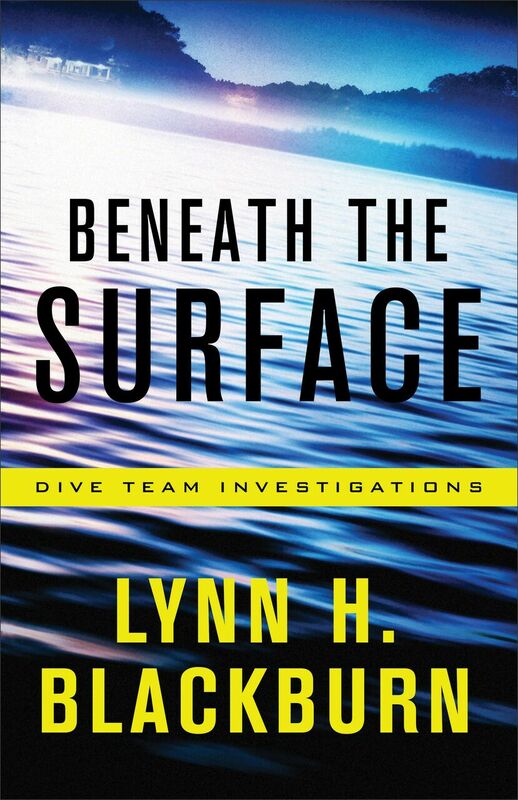 I love these split-time suspense novels. 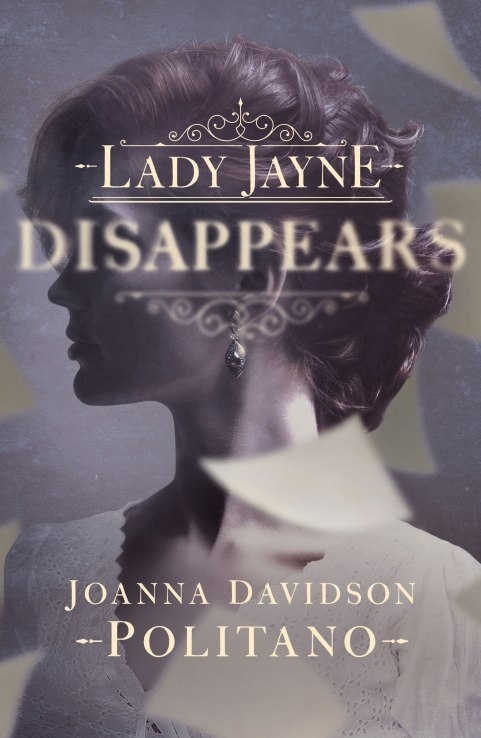 Lady Jayne Disappears by Joanna Davidson Politano - I needed a book nominated for an award in 2018 to fill a category in the Modern Mrs. Darcy reading challenge. Lady Jayne Disappears was nominated for, and won, several awards, so I picked it up on sale for Kindle a few weeks ago. I wasn't disappointed! As I write this, I'm over halfway through the book, and I'm on the edge of my seat waiting to see what happens next. It's hard to believe this is a debut novel. Thirst of Steel by Ronie Kendig - I've been waiting months for the final book in The Tox Files series! I'm sad to see this series end, but I'm devouring this book. 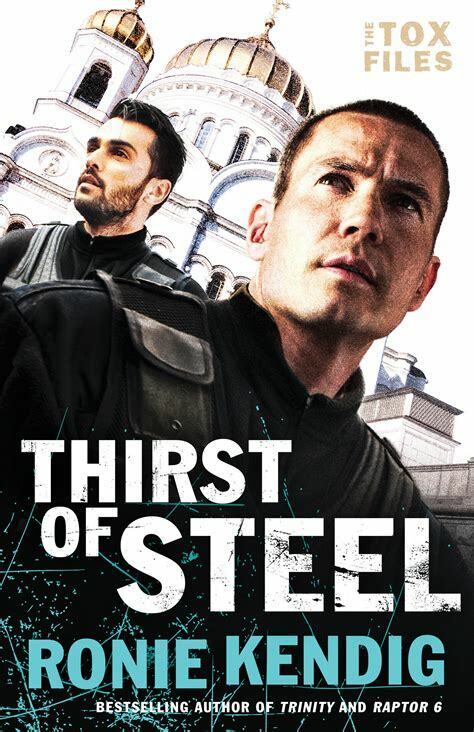 Think military thriller meets Indiana Jones, and you've got Thirst of Steel. I'm not a big TV person, so it usually takes me forever to finish a Netflix series. I just finished season one of The Crown this month. Emily P. Freeman's podcast, The Next Right Thing, is keeping me sane right now. Needtobreathe has a new album! Everything they do is amazing. My favorite songs are Darling and Bridges Burn. Crowder - My youngest is a huge Crowder fan and he's got me hooked, especially his American Prodigal album. Ledger - Jen Ledger, Skillet's drummer, released her first solo album. As much as I like Skillet...I think I like Ledger even more. Her album is incredible! I love every song, but I have to say Foreigner is her best. This blog--I'm redesigning logos, changing my Facebook page, and much more. I'm getting into a rhythm of regular posting. My bullet journal. I've been using one for about three years now, but this year I've really found my groove with it. I switched to a dot grid notebook and went with a whole new layout. It's working great! My bullet journal has become part planner, part memory keeper. Carpe Diem mini planner stickers. These are perfect for my small bullet journal, and they're so cute. I've found my planner people! Plan to Plan Sticker Co. Again, these are the perfect size, and they're super cute. My new wardrobe. I've lost more than 30 pounds over the last year, and nothing in my closet fit anymore. I've slowly added all new clothing, and this month I finished it out new dress clothes from Maurice's and Versona, two of my favorite stores. I really love what I'm wearing! Ipsy. I got my first bag this month, and I really liked everything in it. My runaway favorite, though, was Realher Moisturizing Lipstick in Girl Power. I liked the sample so much I bought a full size lipstick. You can find out more here. Yasso Greek Frozen Yogurt Bars in salted caramel. Really good and only 100 calories! I'm just five pounds away from my goal weight, so a sweet snack that's low calorie is exactly what I need. I finished a She Reads Truth study on 1 and 2 Corinthians. It was really good! The study on forgiveness from chapter --- was really powerful. Now I'm starting a study of Judges. How to use Canva. I love this app! 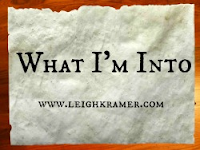 It lets me design professional images for my blog and social media and gives everything a cohesive look. How to wait. 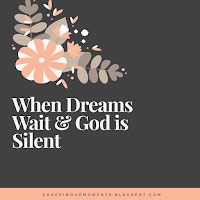 Patience is not my strong point, but God is teaching me to trust Him and His timing for my dreams. My Goodreads goal for this year scares me a little. I bumped it up to 50 books, almost a book a week. With church events, kids, work, family plans, and more, it's a tough goal. But I have a reading list that's 200+ books strong and growing, so I knew I needed to step up my goal this year. My go-to genre is mystery/suspense. It's been my favorite since I was a kid reading every Trixie Beldon and Three Investigators book my hometown library had on the shelves. Lately, though, I've been making an effort to branch out a bit more, and I've found some really amazing authors. The Modern Mrs. Darcy reading challenge is also pushing me to go outside of my reading comfort zone, with categories like "a classic you've been meaning to read" and "a book in translation." I love the LibriVox and Audible apps, and for the past couple of years, I've used them to listen to a lot of classics. This year I listened to Pride and Prejudice on Audible (my "classic you've been meaning to read"), and Emma on LibriVox. I'm not sure how I lived almost forty years and never read Jane Austen until this year, but it happened. At least I'm fixing it. I'm also hooked on classic mysteries. I've read two Agatha Christie novels so far this year and watched two movie adaptations as well. I'd forgotten how much I love classics. Next on TBR list: undecided. Maybe another Jane Austen, or maybe Little Women, the book that made me want to be a writer--I have an Audible version that would be perfect for my drive to and from work. I started 2018 with a bang and read Jaime Jo Wright's The House on Foster Hill. Wow! It's a mystery, but with a unique twist: two mysteries in two time periods, woven together into one amazing story. 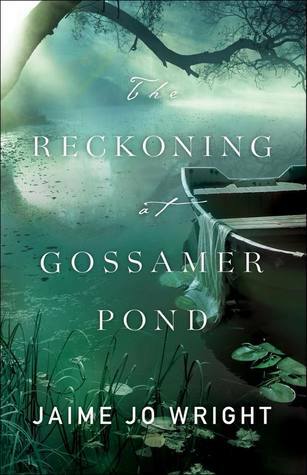 I just finished her second novel, The Reckoning at Gossamer Pond, and it was just as good as the first book. Last year I was introduced to split-time stories with two Kristy Cambron books - The Butterfly and the Violin, and The Ringmaster's Wife. I really enjoyed both! I have all of Kristy's books on my Kindle app. I'm looking forward to reading more. Next on my TBR list: The Love Letter by Rachel Hauck. This fills a category on the Modern Mrs. Darcy reading challenge - "a book recommended by a librarian or indie bookseller." The cover of Elizabeth Byler Younts' The Solace of Water grabbed my attention first, but when I read the description, I was already hooked. This historical/women's fiction set in the 1950's tackles deep issues like race, grief, and friendships that cross boundaries. The fact that one of the main characters is a pastor's wife was a plus, too. This is one of the best books I've read in a long time and may end up being my favorite of 2018. Last year I read The Feathered Bone by Julie Cantrell, another book that fit this category. It's a deep, heartbreaking, hopeful story that stayed with for a long time after I finished. I love books that aren't afraid of hard topics and grim realities. After a really deep, heavy book, I have to balance it out with something light and fun. I love YA fairy tale retellings! I've spent the past few months reading The Lunar Chronicles by Marissa Meyer. Melanie Dickerson is another favorite. I'm in the middle of The Princess Spy right now. 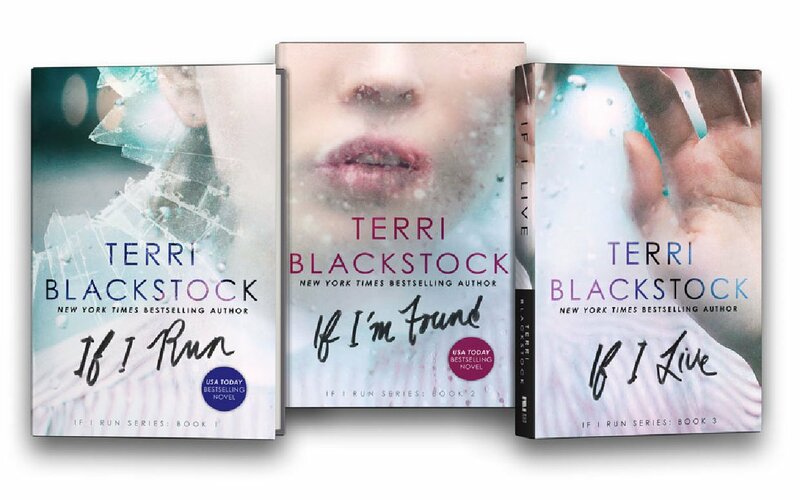 Deep, realistic fiction is my favorite - heavy hitting books that tackle life's most difficult issues head on. But sometimes life itself is too heavy and difficult, and I want a fairy tale. I want to know that the good guys win, that the princess finds true love, that the good guy gets the girl he loves. I want a guaranteed happily ever after. Fairy tales are a natural fit! And for the record, Beauty and the Beast is still my favorite story ever. What are you reading now? What books would you recommend for me in these categories? I'm no stranger to storms. Growing up in tornado alley, some of my earliest school memories include tornado drills. When I was in first grade, I remember my teacher reviewing those drills as the sky turned a sickly green, wind slashing rain against our classroom windows and bowing the trees low. When I was a junior in high school, my hometown was hit by a deadly F4 tornado that tore a half mile wide swatch of destruction across the small town where I grew up, destroying downtown and killing six people. After spending the first twenty-seven years of my life in Arkansas, my husband, two small boys, and I moved to the coast of Texas, where we were quickly introduced to a whole new kind of storm - hurricanes. Just five months after moving, a small system blew up into a hurricane shortly before landfall, and we rode out the Category 1 storm as the wind screamed and sheets of rain fell for hours. The next year we evacuated for two storms, and our home flooded in the second one: Hurricane Ike. Last year, much of our area flooded when Harvey dumped 60 inches of rain on the Texas coast. We walked with friends and church members who sustained massive damage, some losing everything they owned. Physical storms can be terrifying. But life's storms can be just as scary, just as damaging, and even harder to protect ourselves from. These storms take many forms: job loss, marriage problems, close friendships that end, people we trust who hurt us, life changing medical diagnoses. I want to handle life's storms the way I handle physical storms. I want to make myself small and cover my head like I did in those elementary school tornado drills. Or I want to pack up what matters most and get in my car and drive far away like we do in a hurricane evacuation. This isn't a new feeling. David wanted to do the same thing in Psalm 55:6-8: I said, "Oh, that I had wings like a dove! I would fly away and be at rest. Behold, I would wander far away, I would lodge in the wilderness. Selah. I would hasten to my place of refuge from the stormy wind and tempest." But hiding and running won't protect from life's storms. When storms hit, I do tend to make myself small and run away emotionally. I withdraw. I listen to a lot of music, even creating playlists that fit what I'm dealing with at the time. I read a lot, sometimes fiction, because it's an escape from a dark reality; sometimes Shauna Niequist or Emily P. Freeman, because their words and their openness always seem to meet me exactly where I am. I get quiet, because I know if I put my feelings into words, I'll shatter and I won't be able to contain the emotions. I hate losing control in front of anyone, so I hide my deepest feelings until I'm alone and safe. When you're in the middle of a storm, it's all you can see. It takes over your awareness, filling every sense. When the sky turns green and eerie silence screams in your ears, all you can do is take cover and pray. When wind screams and debris flies, all you can think about is staying safe from the carnage. When your life turns upside down, all you can focus on is the pain and the fear. Then the storm passes, and you're left to clean up the destruction that's left behind. You find yourself looking for a new job, grieving a loss, finding a new normal while wishing life could go back to what it was like before the storm, but realizing it will never be the same. Life will be marked differently now: before the storm, and after the storm. Jesus knew what it meant to face storms. He knelt in the Garden of Gethsemane, knowing what He was about to face, begging the Father for another way. But there was no other way. The only way we could be saved was for Him to face the storm head on. He knew how the story ended, and He knew the storm was worth the price. We don't know how our story will end - but God does. He wrote the ending long before the storm started. He walked this earth and faced the same kind of storms we face. He knows our pain and fear, and He doesn't leave us to face the storm alone. He holds our hand and walks beside us. He comes to us when we need Him and never leaves our side. When we call out to Him, He gives us grace to face the storms and find new life on the other side.